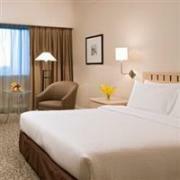 Book a minimum stay of 2 nights at the 4-star York Hotel in Singapore and enjoy rates as low as SGD230 (USD185). The quoted price includes a Deluxe Room, a welcome drink, buffet breakfast, wireless internet, a fruit platter, and a 2-Day Pass for City Bus & River Boat Tours. A 10% service charge and 7% taxes are additional. This promotion is available until September 30, 2012. This promotion is available with a Deluxe Room from SGD260 (USD210) per night or a Premier Room which sleeps four people for SGD400 (USD325) per night. Children age 6 and under can share the room for no additional charge. This promotion requires full pre-payment by credit card and no changes or cancellations are permitted. 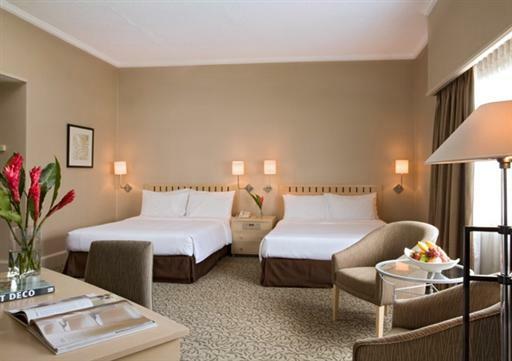 The York is a four-star hotel situated on a quiet street near Singapore’s famous shopping district of Orchard Road. The hotel offers 407 rooms with a warm contemporary style. Rooms are furnished with your choice of 1 or 2 beds plus a work desk, TV with international channels, mini-bar, and coffee/tea making facilities. 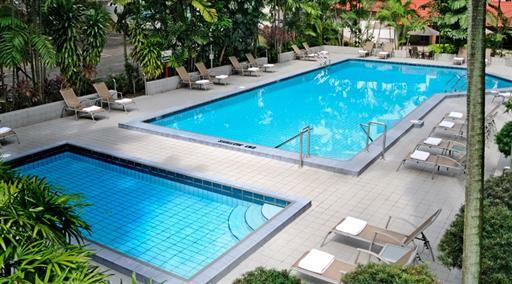 The York offers two dining outlets, a lovely garden, outdoor pool, and a fitness center. Visit http://www.yorkhotel.com.sg/ for more information or to make an online booking. The York Hotel can be contacted by calling (65) 6830 1118 or emailing resvn@yorkhotel.com.sg.